Ukrainian activist in acid attack dies, Stormzy writes a book, Tales from the dark side and hypocrisy and blasphemy in Pakistan is not Islam. Bullying in schools is a huge problem but if you want to know where the problem lies look not in the classroom but perhaps closer to home … could it be you? According to a survey by the Anti-Bullying Alliance children say it is adults who are setting them bad examples with 41 per cent saying they’ve witnessed adults bullying each other. For those no good at maths, that’s more than four out of every ten adults! This is the word from kids who’ve seen so-called grown-ups lashing out face-to-face, online, on the telephone or in the media. I have to say the Prime Minister’s Question Time is a good example of men (and some women) behaving badly. The news is revealed at the start of Anti-Bullying Week which kicks off on Monday, November 12. So can we all try and give our kids a better example? Great news that The Spice Girls are getting back together again for a world tour and yes, it will be global if the UK gigs are going to be a hit which, judging from the rush for ticket sales, will certainly be the case! After interviewing Victoria Beckham (“Posh Spice”), Geri Halliwell (“Ginger Spice”), Emma Bunton (“Baby Spice”), Melanie Brown (“Scary Spice”) and Melanie Chisholm (“Sporty Spice”) when they were still ‘Wannabes’ I rushed back to my office at the News of the World to tell my boss – but he wasn’t interested and even less so by the news of ‘Girl Power’. The following week I tried to revive interest but he still rejected the idea and even threatened to garrotte me with a sample DVD I gave him of their first hit Wannabe released by Virgin Records. It narrowly missed me as he hurled it in my direction across the newsroom … well, this was Fleet Street in the Nineties! By the fourth week, he came out of the Tuesday news conference and called me over. “The editor wants a piece on the Spice Girls!” the rest, as they say, is history. I am horrified at the latest images coming out of Pakistan over the hysteria being whipped up over the Asia Bibi case. She is the Christian woman who has spent eight years on death row after allegedly insulting the Prophet Muhammad during a row with co-workers and neighbours. The evidence was so flimsy and had more holes in it than a Swiss cheese, so it was right when the Supreme Court acquitted her and she secretly left her prison. Now there are violent protests from men who say she should be hanged for blasphemy. Sadly Western analysts just run off with irresponsible and hateful comments in newspaper opinion columns instead of looking at the real problem in a country mired by poverty, superstition and paranoia. High Fives this week go to actress Michelle Keegan who is urging all women to go for smear tests in an Instagram post about her own test. Yes, it is uncomfortable, embarrassing and hard to have a conversation with the nurse or doctor when your legs are akimbo but come on ladies – these tests save lives. Surely you’re worth it? More tales from the dark side … obviously, I’m talking about Brexit. Well, it seems the millionaire often credited with bankrolling Brexit reckons he would now vote “remain”. Aaron Banks blames the “sewer” of British politics for his dramatic about turn because of the UK Governments less than spectacular performance on delivery of Brexit since the 2016 referendum. I reckon he’s trying to be ironic but it ain’t working – not for me anyway. The National Crime Agency is now investigating the source of funding for the £8million campaign but Banks insists the cash is not from Russia. If anyone’s really interested, he says, funding came from a UK-registered firm called Rock Services. I, for one, couldn’t give a flying fig. I just wish it was all over and have almost lost the will to live whenever the B-word is raised. Our thoughts should go to the family of 33-year-old Ukrainian activist Kateryna Handzyuk who gave up her battle for life after an acid attack which left burns over 40 per cent of her body. 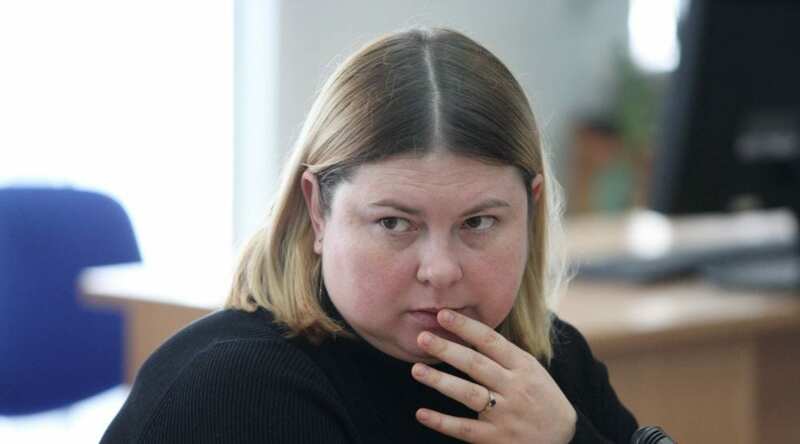 She was also a Kherson city council member and had undergone 11 operations in the capital Kiev since the July 31 attack in the southern city of Kherson. She also suffered severe eye damage as a result of the assault on 31 July in the southern city of Kherson. Courageous to the end, Handzyuk, who campaigned against Russian-backed separatism, posted a video in which she urged Ukrainians to fight rampant corruption. Can’t wait to read Stormzy’s book Rise Up. I joined thousands of his other fans the night he stood up on a rainswept stage at the BRIT Awards to deliver an acerbic rap slagging off the British government’s handling of the Grenfell Tower Fire. The 24-year-old grime star from ‘sarf’ London became a working-class hero overnight which doesn’t happen too often these days, especially for young black men. In less than a heartbeat, Stormzy became an icon of British culture. And, more interestingly, the brittle British Establishment sat up and listened to what he had to say. Empowering or what? Oh no! The word on the street is that Crocs are so lame they’ve suddenly become cool! Apparently, some influential trendy folk including US rapper Post Malone have started strutting their stuff in Crocs causing a rush on the brand. In a classic piece of ironic revivalism, the rapper collaborated with the Croc manufacturer and the end result sold out within ten minutes. Apparently, even Madonna was unable to grab a pair and messaged Malone on Instagram asking where she could buy a pair. Crocs first emerged in 2004 leaving their vile foam footprint across the globe. Now, it seems, they’re back in vogue again … I hated them 14 years ago and there’s no way I’m putting on a pair today just because some rapper reckons they’re cool.